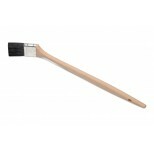 These 45 degree bent radiator paint brushes are excellent for painting those hard to reach places. Made with high quality 100% natural black hog bristle, epoxy set for high solvent resistance, nailed to a 16" long hardwood handle for extra reach. 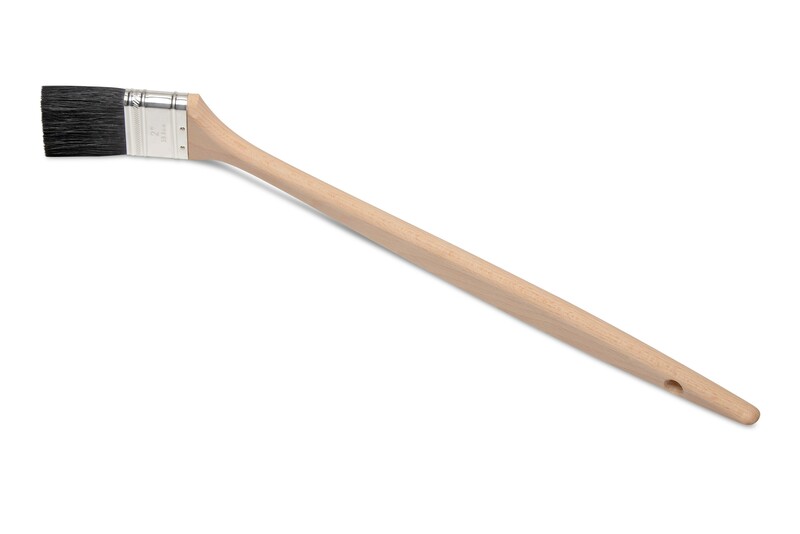 These brushes are similar to 01799, 01110 and 01813, except these are made with longer black hog bristle, which will hold more paint and provide better flex motion when painting. 01130 2" 9/16" 2 1/2"